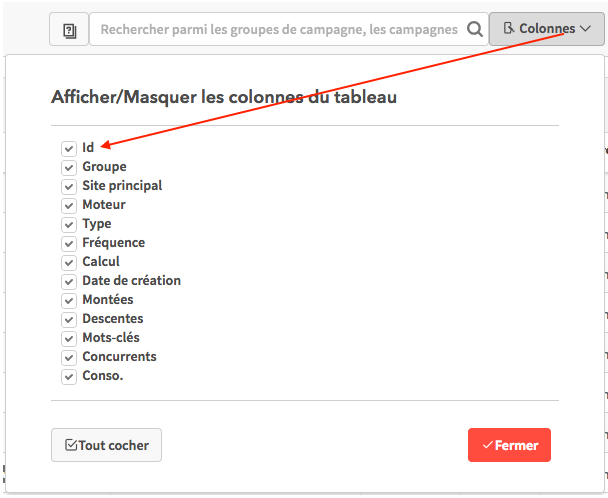 Then you need to get the ID of the campaign to synchronise. 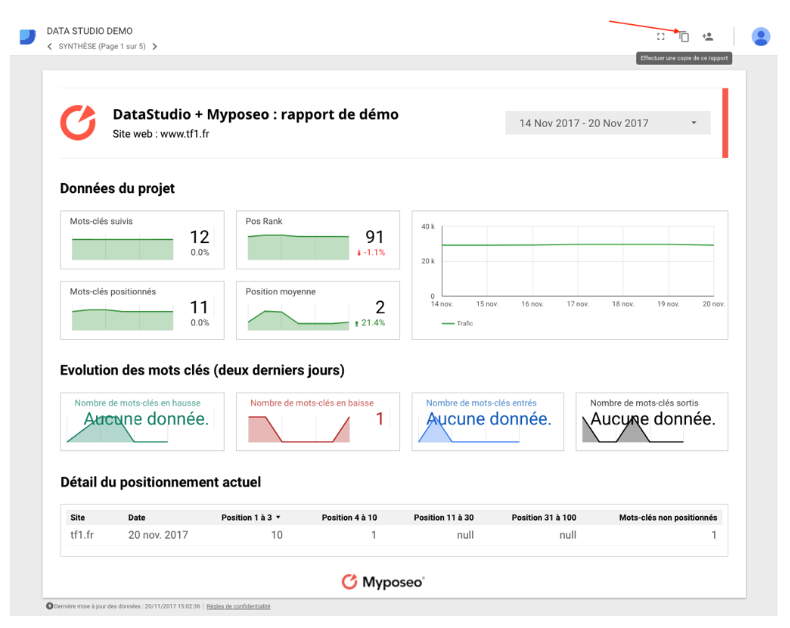 IDs are available from the project list for each Myposeo tools. 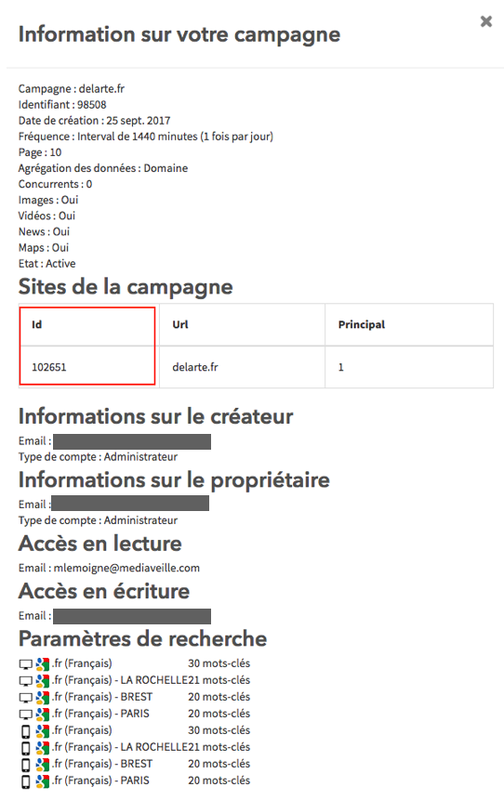 Finally, you need to get the ID of the site to analyse available from the list of campaigns. 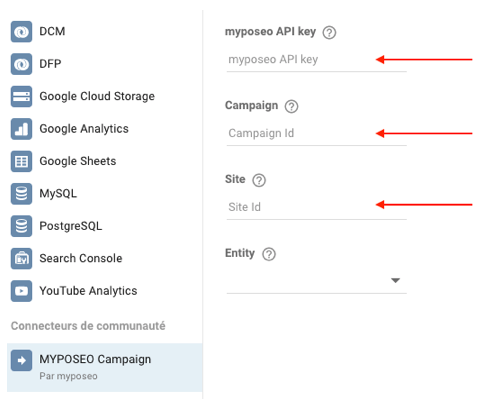 You will then be able to connect to Google Data Studio to add the Myposeo connector. As well as the project entity on which you want to recover data. 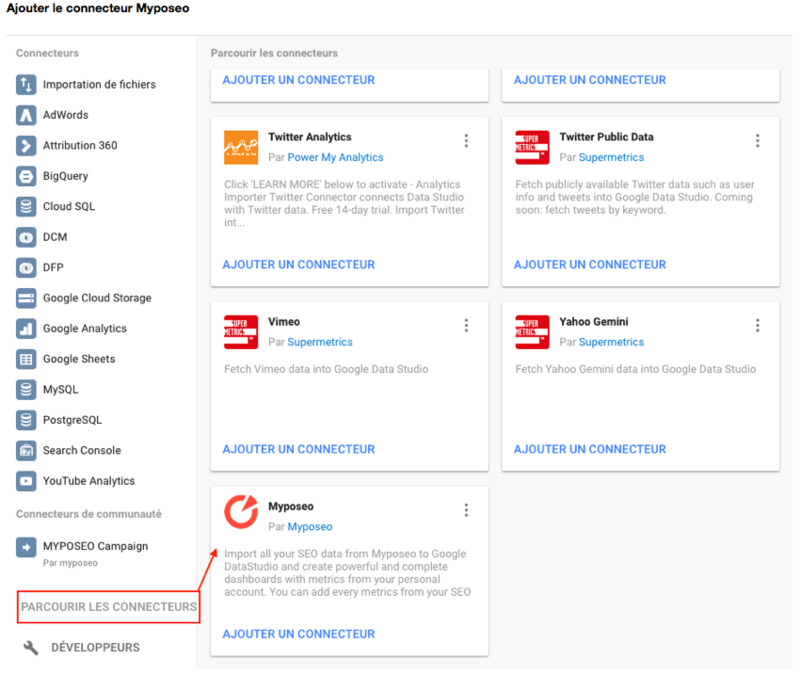 The “Domain” entity allows you to obtain aggregated data globally on the domain. 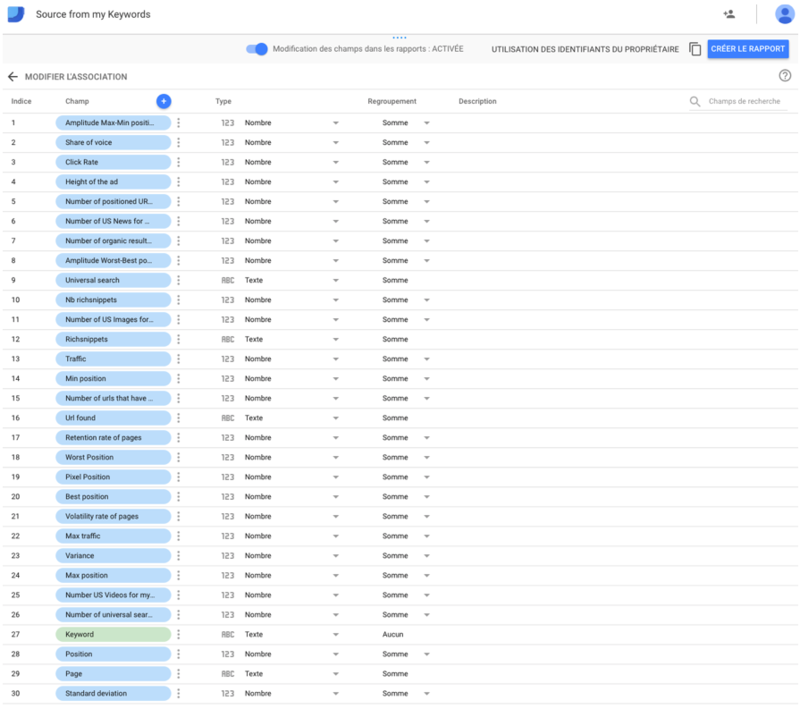 The “Keywords” entity allows you to get indicators related to the keywords of your campaigns. Once the connector is set up, you still have to add the data source to the report. 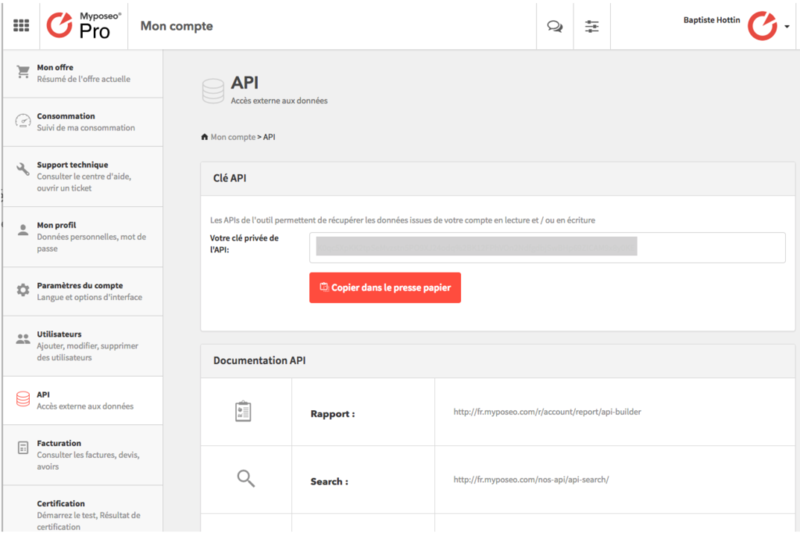 Now you can start editing your report. Currently, it is possible to synchronise data on the domain and keywords. When creating the source, check that the data type is consistent with indicators. From the demo report, you will be able to make a copy. 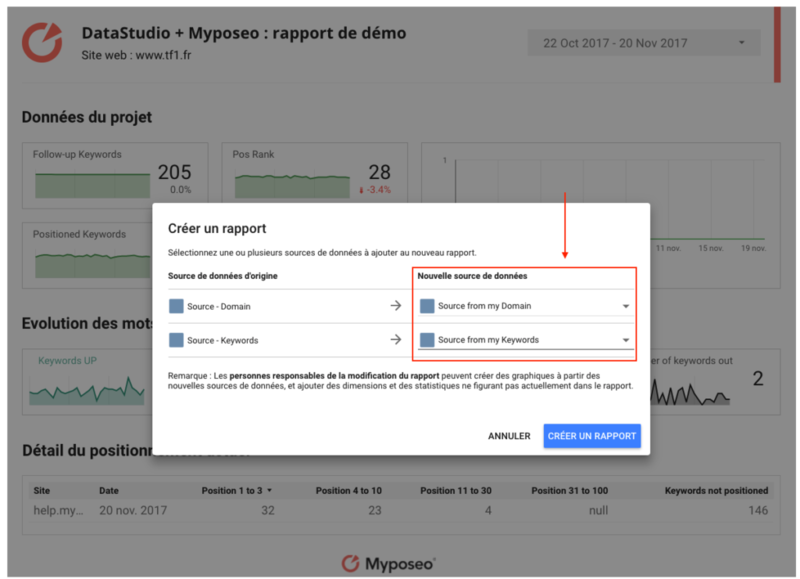 Then, you will be able to synchronise the data sources “Domain” and “Keywords”, then finally you will be able to click on “Create my report”.